Lunama , Hambantota 26th November 2005 : Eleven months to the day after the December 26th tsunami, the BBC Southern Counties Radio (SCR) tsunami relief programme recorded another milestone in assistance to Sri Lankan victims of the devastating natural disaster. On 26th November, the MJF Foundation, implementing the programme for BBC SCR , opened the Lunama Rajasaranagama Community centre. The BBC SCR programme is funded by donations from the radio station’s listeners who participated in a March 2005 charity auction. Lunama is a remote village in the Hambantota District in Southern Sri Lanka. Nearly 500 families living there endure constant hardship as a result of their isolation and the poor infrastructure in their area. The outstanding natural beauty of the area, with its picture postcard beaches and waterways filled with exotic flora and fauna, thinly camouflages a story of decades of neglect, with the tsunami being the final blow. Revenue from fishing has for decades been the main source of survival for the families living in and around Lunama. That source of survival was violently destroyed on 26th December when the tsunami devastated all the fishing craft on Lunama beach along with the lives of several of the villagers and their children. BBC SCR’s Lucy Sheppard visited Lunama in February this year, and conveyed to SCR listeners the pain of this isolated community. In an 18 hour live radio marathon, over 200 items donated by listeners and local companies were auctioned off. Donations were also made plus pledges of money towards fishing boats, nets and engines, school equipment and bicycles. In total £103,470 was promised. The generosity of the Southern Counties Radio listeners has transformed the lives of the people of Lunama. In the first stage of assistance they received bicycles which are essential in transporting children to schools, mothers to the town, and fathers to the beach, several kilometers away from their homes. The second stage saw traditional Oru – outrigger style fishing craft – replaced, then engines and now a Community Centre. The Centre will make a significant change to the lives of the community as they have for the first time, a place to meet as a community, learn, receive visitors and well wishers and teach their children. 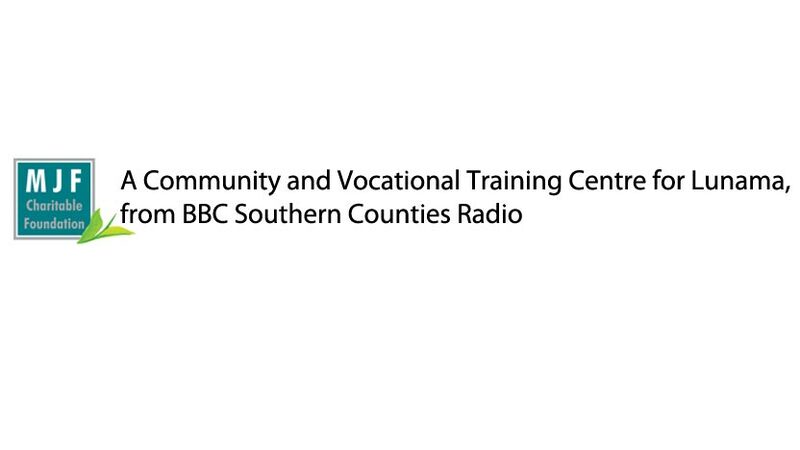 The BBC Southern Counties Radio Centre in Lunama will serve as a preschool for children below the age of 5, and will also host vocational training for youth, agricultural skills development courses and women’s empowerment programmes. These programmes will be provided by government agencies and the MJF Charitable Foundation. The Centre was declared open jointly by Ambalantota Divisional Secretary Shanthi Jayasekera and Dilhan C. Fernando, MJF Foundation Trustee, on behalf of the BBC Southern Counties Radio, on Saturday 26th November, exactly 11 months after the tsunami. Speaking at the event Ms, Jayasekera, head of the local government in the area, expressed the heartfelt thanks of the community for providing them with a facility that will help strengthen and empower the community. The Divisional Secretary further commented on the quality of the venue with facilities she rated as significantly better than Government standards. The Southern Counties Radio tsunami relief programme continues with the construction of a Fisher Community storage facility in Lunama and a Classroom, Library, Music and Computer facility in Bata Atha South school. The Trustees of the MJF Foundation commend the initiative the SCR team took in initiating this programme and are honoured to be involved in implementing their vision.